I swear that there are some trucks that were deliberately engineered to be fallen out of. The best example I can think of is the International T-Line cab. If you’d poking around the ‘burbs in an ACCO and the boss then chucked you the keys to a T-Line, chances are that the first thing you did when you got to the other end of the journey was plummet to the ground scrabbling for grab handles and steps that weren’t there. 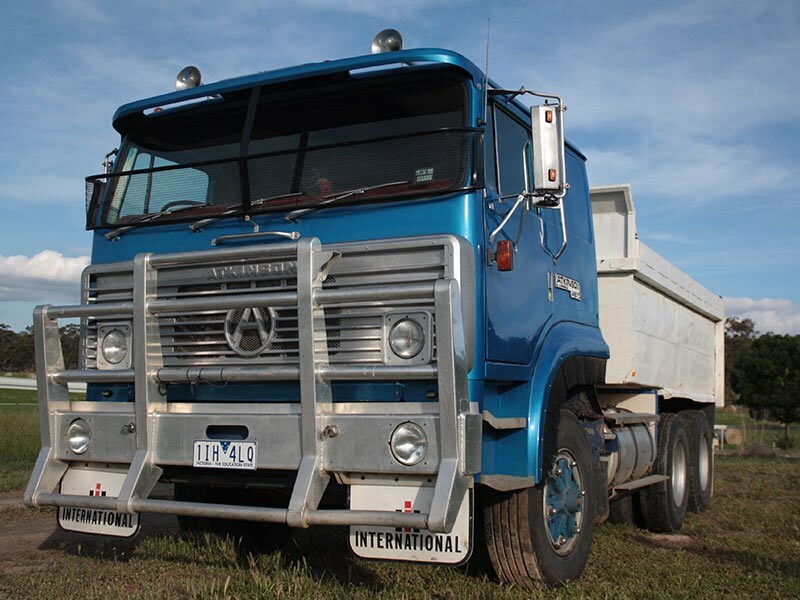 I’ve also been told that the Mack Ultraliner was another serial offender when it came to driver’s plummeting from the cab and landing on their arses in front of an audience. I found that there are a couple of ways you can react after an undignified exit from the truck cab. You can spring back to your feet like an Olympic gymnast and pretend it didn’t happen. Or you can take a bow and ask for a round of applause. Or you can just limp away crying softly. And while I used to regularly fall out of a T-Line back in the day. I never had the opportunity to fall out of the T-Line’s flash highway sibling, the Atkinson. It’s amazing what you can find kicking around the back blocks of Oz sometimes. We have a habit of not letting our old bangers die. Where other countries hock their trade-ins off to developing markets, we tend to rebuild rather than replace. 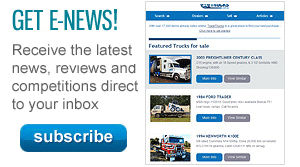 Even new trucks tend to have a second and third life within the same company. As a result there are some old jiggers still around working that were pretty flash back in the day. So I recently came across this old 1983 Atkinson 4870, it’s just been rebuilt from the ground up and put back to work. So I got in touch with the owners, father and son Brendan and Nick McKnight, and asked if it would be okay if I came around and fell out of their truck. Nick is a diesel mechanic by trade and he came by the old girl about 18 months ago. Like any old banger that rolled out the International plant in Dandenong in the 70’s and 80’s the cab was pretty well…er… ventilated. Rust has never been kind to these old boxy cabs. So Nick pulled the old girl to bits and started to rebuild this former highway hero. 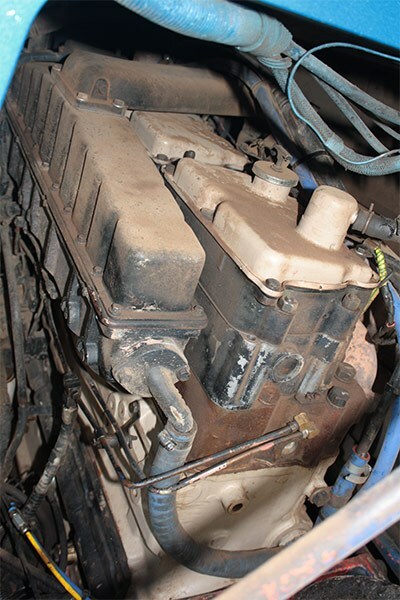 Starting with the 44,000lb Rockwells in the rear before completely rebuilding the 15-speed reduction ‘box and the jewel in the crown; a 14-litre BC3 Cummins. The cab was stripped back, repaired and painted. The interior was retrimmed, though Nick looks a little pained when he talks about that. Purist will probably be horrified that the grille has been redone in hammer tone. But according to Nick the bright work was, "Pretty knackered." A PTO and a tipper body were added and the 4870 was now ready to go to work as a water cart and occasional tipper. The old Atki was looking pretty schmick when I rolled up the driveway of the McKnight’s Central Victorian property. 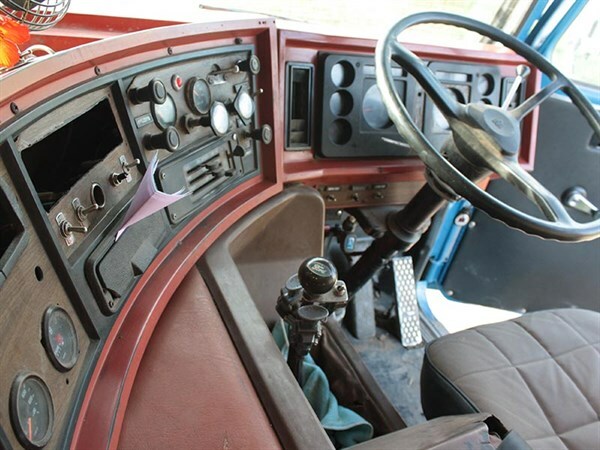 "The whole thing was a bit of a challenge," says Nick, "There was lots of rust in the cab." But, as a mechanic by trade the running gear wasn’t as much of an adventure. "We’ve got it running pretty sweet, we played with the cam timing a little to make her bark." I climb into the cab…carefully. That familiar old T-Line style dash greets me. It’s not hard to see the remnants of a highway heritage in here. A space in the overhead console where the CB used to be, the old school fan on the dash. The air con has been installed but hasn’t been connected yet. Behind the seats is a pretty sizeable bunk for the times, and this what really sets it apart from the T-Line Inter. 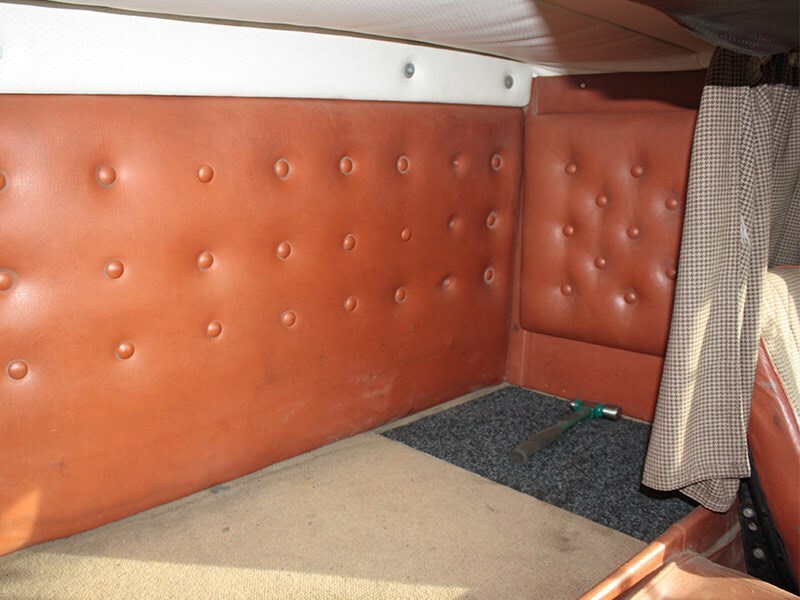 Where the international had a padded shelf that you could crawl onto (and plenty did), the 4870 has a proper sleep cab with shelves and lights. Like so many old mechanical engines, the BC3 Cummins has a lot of character. Just the exhaust note at idle makes the truck sound like it’s raring to go, like it’s waiting to be unleashed. I hit the maxi’s off and grab a gear, the rebuilt ‘box is pretty tight, and idle away. Clearly no one at International ever intended for anyone to use the clutch pedal once mobile. So I stir the ‘box without it. Funnily enough I’d just gotten my head around driving a 15 overdrive and now I had to reset back to a straight 15 reduction. But once we got hauling all of those 400 horses were a sound to behold. As we were empty the old steel Hendrickson arse-end kicked and bucked a bit but I was too busy listening to 14 litres of Cummins singing in the breeze. And even though there was no need for it, I just had to hit the jakes when it came time to slow down at a country intersection. 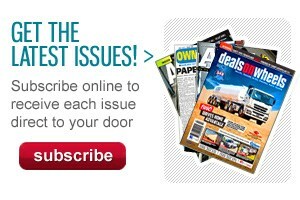 For anyone who grew up around trucks that roar still echoes down the decades. Of course I then had to remember to flick it back off again. This ain’t no electronic engine. That familiar feeling of clanging down the down the road sitting a big old Cummins while hunched over the wheel starts to come back to me. The wheel is never still on this rough bush blacktop. We roll back down the driveway and into the shed. I swing out of the cab, miss a step and stumble. Luckily Nick is on the other side of the truck and doesn’t see. Awesome, this means I can stroll away nonchalantly as though nothing happened. It would have been a big truck in it’s day. An open road hauler with luxurious accommodation. And that big wrap around dash makes you feel as if you’re at the wheel of a major piece of machinery, it feels like a cockpit rather than just a place to sit. 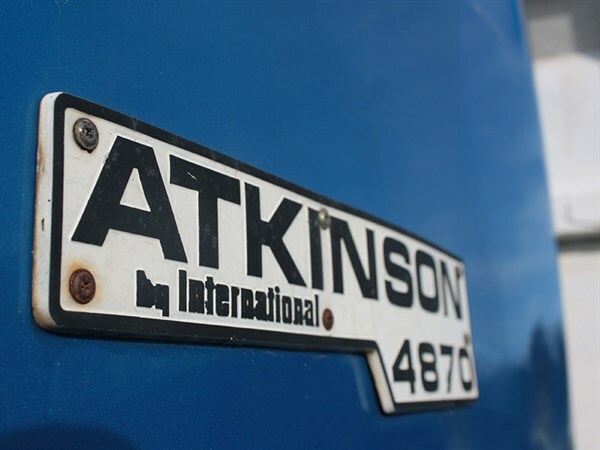 The International brand is on its way back to Oz but the 4870 was the last truck in the world to ever wear the Atkinson brand. We won’t be falling out of the like of them again, in fact these days we have further to fall. Watch the Atkinson in action here.